Just over 20 percent of the Chrysler LLC dealerships operated by minority owners have been earmarked for closure. Thats too many, yet far less than the 80 percent that the National Association of Minority Automobile Dealers feared would be at risk, the associations president says. 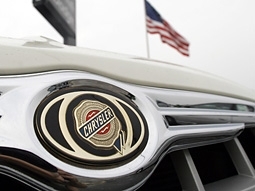 NAMAD President Damon Lester said 33 of the 158 minority-owned dealerships that sell Chrysler, Dodge and Jeep brands have been targeted for closure as part of Chrysler LLCs plan to eliminate a quarter of its U.S. dealerships by June 9. In response to Chryslers actions, NAMAD hired the law firm Harris Beach LLP of New York City to represent the interests of minority dealers, Lester said. We are seeking reasonable and just compensation and reasonable representation among the dealer ranks based on past promises and programs, Lester said. Yesterday, the bankrupt automaker identified 789 dealerships out of its 3,181 stores -- about 25 percent -- that will not become part of Chryslers planned alliance with Fiat S.p.A. Many Chrysler minority-owned dealerships dont meet the companys Project Genesis goal to sell all three brands in the same showroom. Thats why NAMAD thought more would be hurt by the closures, Lester says. The dealer group was surprised to learn that some of the rejected minority-owned dealerships conform to Project Genesis, while many unaffected dealerships do not, he said.